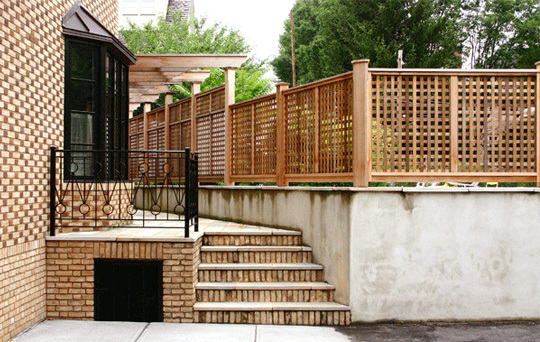 This mahogany privacy lattice, with cedar framing, offers a perfect solution for separating urban backyards, providing a sense of enclosure without confinement. 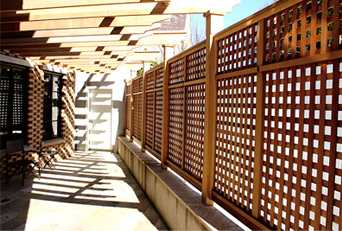 In another section of this fencing, acrylic inserts have been added to the lower sections of the lattice panels. This establishes additional privacy on the patio, while still allowing light to pass through.